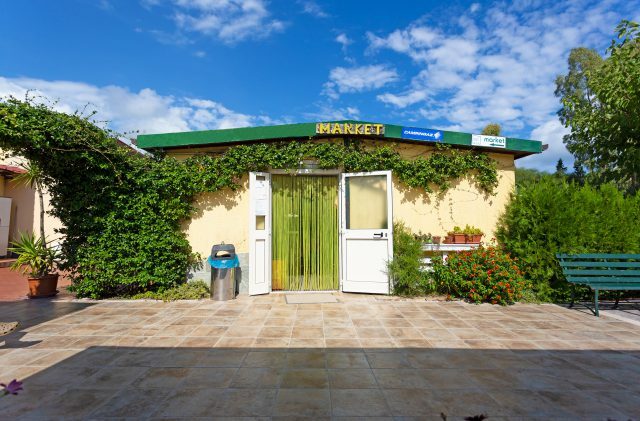 At Camping Cala Ginepro, next to the bar and near the start of the route leading to Cala Ginepro beach, you will find a convenient mini-market for all your everyday needs. As such, during your holidays on the campsite, just a stone’s throw from your pitch you will have access to fresh produce and products made on the day, including bread, seasonal fruit and vegetables, meat and eggs, alongside Sardinian specialities including cheese, artisanal sweets, honey, myrtle and local wines, as well as items for personal hygiene and much more besides. At the Camping Cala Ginepro mini-market, you will always find everything you could possibly need, without having to get into the car! And if, on your pitch, when you’re right in the middle of making lunch or dinner and you suddenly run out of gas to cook with...we even sell canisters weighing up to 5 kg.